CareerBuilder Employment Screening is the trusted leader in employment screening. With 68% of candidates continuing to look for jobs until cleared for hire, we help to simplify employment screening by enabling clients to gain the visibility, quality, and speed to keep candidates engaged. 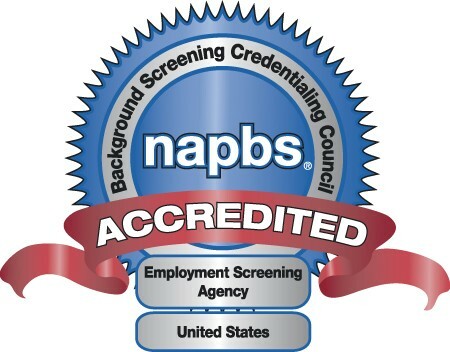 We are proud to be the trusted partner of thousands of clients, top ranked in HRO Today's Baker's Dozen list, included on the Workforce Hot List, NAPBS accredited, and ISO 9001:2015 certified. As part of CareerBuilder, we provide the unique ability to help clients match the right talent, with the right position, at the right time. CareerBuilder Employment Screening’s platform is the driving force behind our superior screening processes. WebACE™ lets clients maintain consistency, streamline workflow efficiency, stay ahead of always-evolving compliance standards, and maintain complete control of the hiring process. With WebACE™, HR professionals receive an unmatched and seamlessly integrated screening experience. CareerBuilder Employment Screening delivers consistent quality and compliance throughout the entire screening process. With NAPBS accreditation, ISO certification and stringent compliance standards, we align client compliance processes with maximum possible accuracy. HRO Today’s Baker’s Dozen has honored CareerBuilder Employment Screening five years straight for customer satisfaction and overall service. That’s not surprising. After all, CareerBuilder Employment Screening maintains industry leading customer satisfaction backed by predictable screening results and exceptional service. CareerBuilder Employment Screening provides superior customer care when it counts. CareerBuilder Employment Screening makes screening fast, convenient and predictable. Through system integration we simplify the transmitting of candidate information from Bullhorn to our WebACE™ screening platform. Time is saved and applicant experience enhanced with pre-populated 'smart' data. This integration provides clients an efficient way to process background checks for seamless workflow, visibility, and candidate experience. The Bullhorn integration provides capabilities including a redirect integration, single sign-on, authentication by email address, and mapping of candidate details, employment and education information, as well as status updates providing a ‘Clear’ or ‘Review’ adjudication.